West Ham United confirmed the signing of centre-back Issa Diop from Toulouse on June 19, 2018. According to the BBC, the Hammers splashed out a then-club record £22m to bring the 22-year-old to the London Stadium. Such a hefty fee for a young defender, with no Premier League experience behind him, represented a big gamble on the part of Irons boss Manuel Pellegrini. Diop quickly earned the Chilean coach’s trust, as he started the Hammers’ third league game of the season, against Arsenal at the Emirates Stadium. The France under-21 international has played every minute of league football since, as per Transfermarkt. All of Diop’s 21 Premier League appearances so far this term have been starts, demonstrating just how quickly he became an integral part of the Hammers’ rearguard. The numbers back up Pellegrini’s decision to invest so much faith in the young defender, too. According to WhoScored’s stats, the 6’4” centre-back has made an average of 2.2 tackles, 1.7 interceptions and 4.5 clearances per match. Those are impressive numbers, especially for a youngster in his first year in England. However, his pass accuracy rating of 87% is truly the standout statistic. Such composure and tidiness on the ball is a rare commodity in a centre-back, and flags Diop up as a very modern defender. 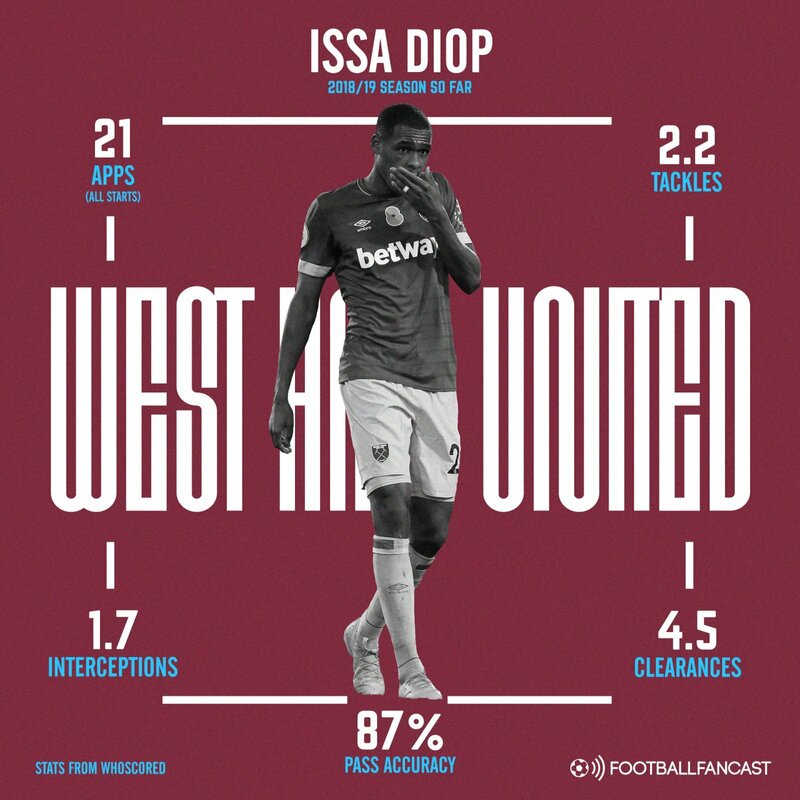 Diop looks set to have a bright future in the game, but if he keeps his current rate of progression up, West Ham could find it hard to ensure his future lies in east London unless they make big strides forward themselves. What looked like a big fee in the summer can be regarded as a positive bargain now.